Gel Pomade from Jack Black, a brand who use PureScience® technology to combine healing botanicals with certified organic ingredients to create products that help you look and feel your best. 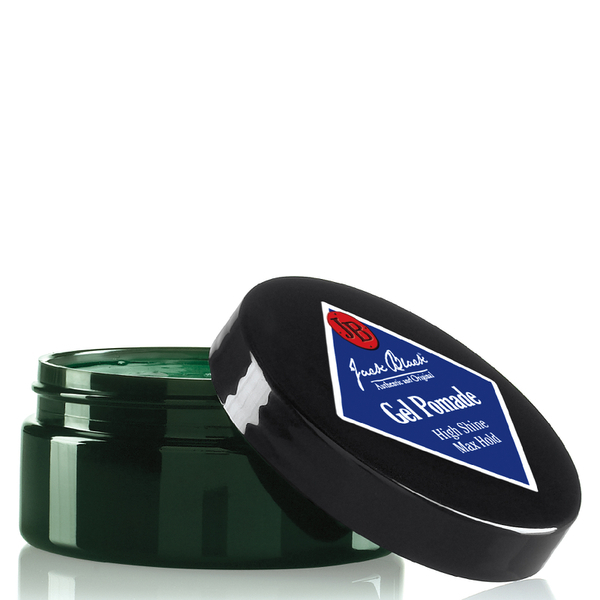 The lightweight pomade delivers maximum hold and a high shine finish. Formulated with natural oils, including sage leaf to prevent irritation, lavender oil to treat brittle, split ends and vitamin B5 which effectively thickens hair without stripping moisture. Mineral-rich organic kelp nourishes the hair, whilst green tea leaf extract stimulates hair follicles to promote regrowth. Use the versatile gel to create your desired hair style with long-lasting hold. Known as "The Beast", this pomade is suitable for slick styles and side parts and allows you to sculpt and experiment. The non-greasy styling gel easily washes out with water. E.N.